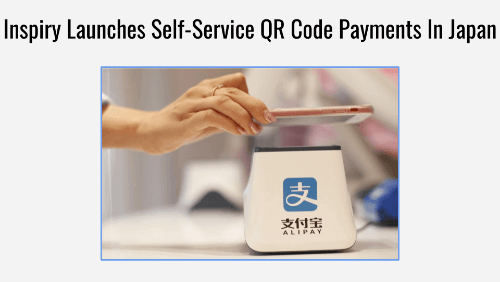 The Beijing Inspiry Technology Co., Ltd., launched its offline mobile payments in Japan on 6th Sep, 2018. Inspiry Technology is a Chinese provider of mobile payment solutions. It focuses on the research and business innovations of QR Codes and related technologies. Inspiry invented the offline mobile payments solution— Smart Box. The Smart Box is a self-service QR Code payments terminal. It is widely used across China. The Japan launch of the self-service QR Code payments came following its launch in the US. Also, an upgraded version of Inspiry Smart Box, the Smart Box Extended, is introduced in Japan. It will allow people to make payments with their smartphones by scanning a QR Code. “Japan should seize the opportunities emerging in the global 2D barcode payment market. And accelerate the transformation of entire 2D barcode payment industry chain”— Wang Yue, Founder, Beijing Inspiry Technology, Co.,Ltd. The Inspiry Smart Boxes were first launched at major retail locations in Tokyo and Osaka. This included Ebisu shop and restaurant in Osaka. It is a meeting point for Chinese people and Chinese visitors from abroad in Japan. The Smart Boxes allow customers pay with their smartphones by scanning a QR Code in the Alipay app. It can be easily set-up in any environment having access to internet and a power cable. The QR Code scanner and interactive payment keypad become functional after a one minute configuration process. Also, the Smart Boxes cost lower than hand-held POS (point of sale) terminals. As a cheaper alternative, these self-service boxes are widely accepted. It is especially the case with small merchants and vendors. Inspiry’s launch expects to contribute to Japanese mobile based payments market. In 2015, the cashless payments made up-to 18% overall consumer transactions in Japan. The Government hopes to increase it to about 40% by 2025.